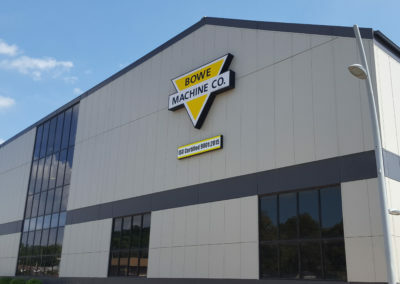 Bowe Machine is in downtown Bettendorf, Iowa, on US Hwy 67 within easy access to I-74 and I-80. 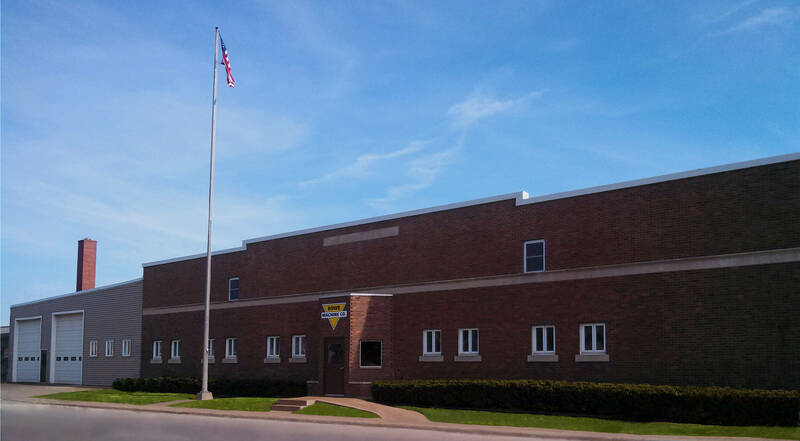 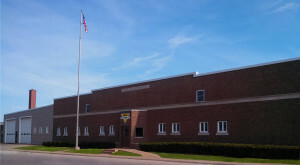 Our facility encompasses 99,000 square feet of manufacturing space along State Street between 23rd and 26th Streets. 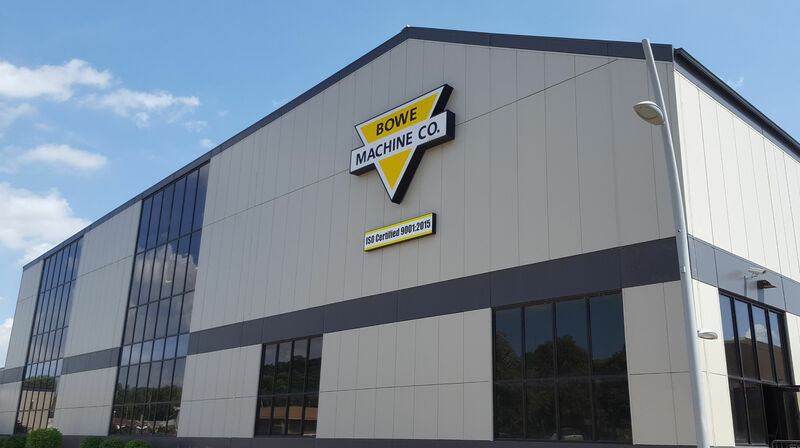 Our expansion was completed in 2015, and we’re putting the extra space to good use. 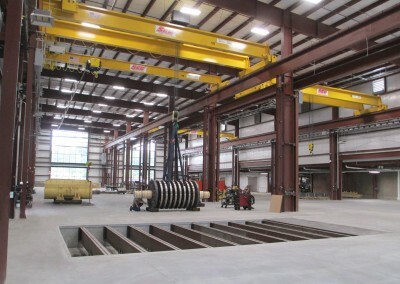 Obsolete areas were demolished to make way for the new building, which added 32,000 square feet of machining and assembly space. The new building has two bays, each with a 40-ton and a 10-ton crane. 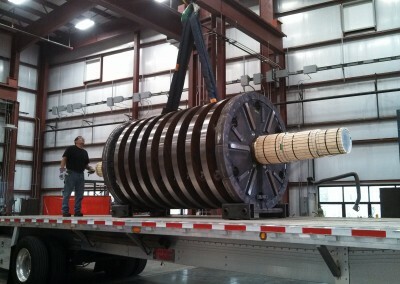 Below, a 68,000 lb. 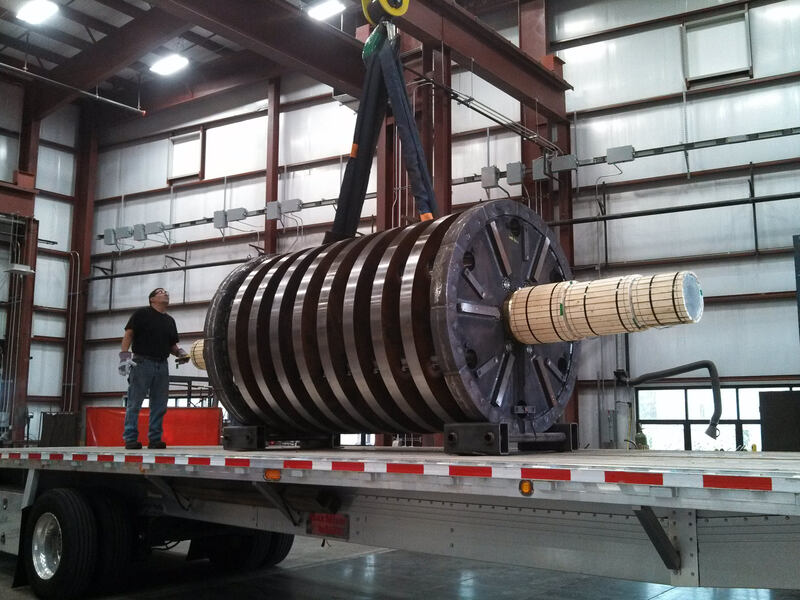 shredder rotor is easily moved from the assembly area and loaded directly onto a truck inside the building.